Social media is a strange and delicate thing. It has the potential to drive in hundreds of prospective customers or alienate you completely! ABCey helps you hone in on what’s important so YOU won’t be the one in a social media dead zone! 1. Share | Social media exists because people like to share and make connections! In the end, your goal is to successfully share your message with the world, and you love seeing “shared” and “retweeted” pop up on your notifications! Before you post, ask yourself, “would I share this with my friends?” If you don’t find it interesting, others probably won’t either! 2. Interaction | Tweeting can sometimes feel like sending messages off into the void of cyberspace. The only way to know what people think of your tweets is through interactions under the “connect” tab. If you’re not seeing as much interaction as you want, include language like “tell us your opinion” and “what do you think” to encourage your followers to respond. Also, try following those you think would be interested in what you say! 3. Reach | Your message can be witty, well-worded, and interactive, but it won’t matter if only 15 people see it! Below every post, Facebook will tell you home many people saw what you said, whether it was shared, on their news feed, or found through a friend. 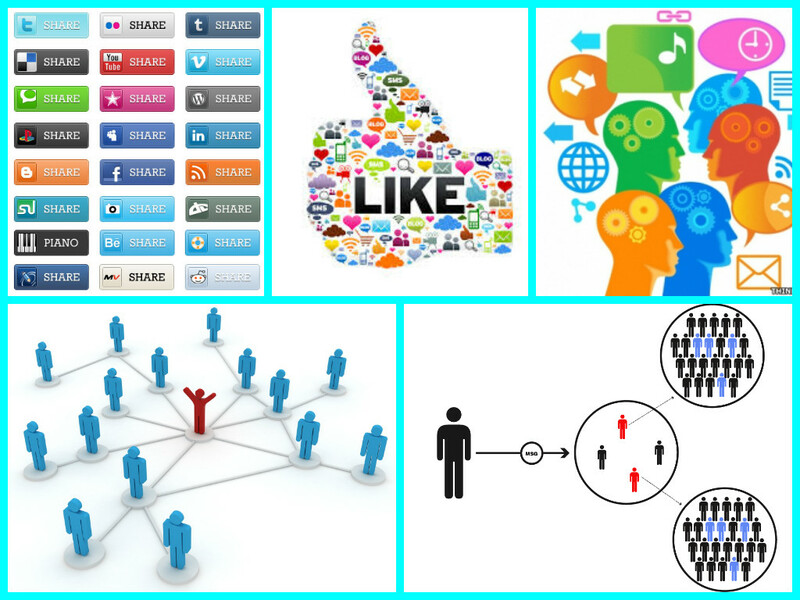 Beef up your reach by adding more people, especially people who are friends with those who “like” your page! Go on a friending rampage a few times a week and you’re sure to expand your audience in no time. 4. Network | LinkedIn and every other social media site are constantly encouraging you to expand your network with “people you may know” and “who to follow.” Our advice: listen to them!! Following someone on social media is a low-pressure way to keep in touch with someone and maintain relationships. You never know when you’ll want to reach out to them someday, and being “friends” is a good advantage to have! 5. Like| Whether you’re a company promoting a product or a teenager posting vacation pictures, you know that more “likes” is key! Like, duh. Amp up your liking potential by targeting the audience that will be most likely to generate business for you. When you start getting positive feedback (tons and tons of “likes!”), keep the momentum going! What do you think of our social media tips? Agree? Disagree? Tell us your opinions! Leave us a comment or reach out to us on Facebook & Twitter!